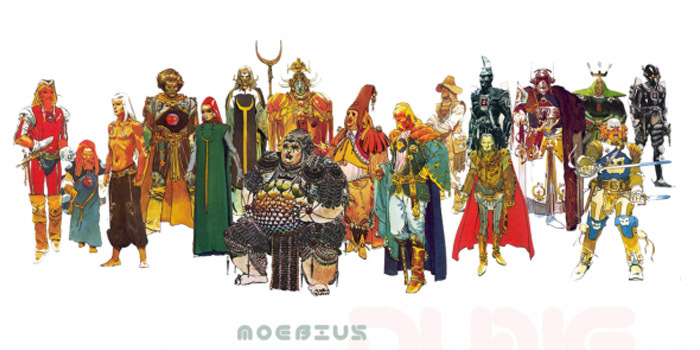 In this epic yarn, the filmic equivalent of Rime of the Ancient Mariner, Alejandro Jodorowsky, wild-eyed, possessed, regales us with the story of his five year mission to bring Frank Herbert’s Dune to the screen. It’s an extraordinary chronicle of encounters with some of the giants of his day, with names like Dali, Moebius, Welles, Giger, Jagger, O’Bannon and Pink Floyd coming aboard. But the ship sails into L.A. only to run aground against commercial imperatives. Sadly we are not privy to the boardroom conversations. We’re also told very little about the script, though it’s reported that the script wasn’t the problem, it was Jodorowsky’s mania and counter-pragmatics, which would be fine in a medium not dealing with millions of other people’s dollars. The project bestowed a considerable legacy. Jodorowsky’s insistence that the film could be 12 hours long is borne out in later franchises by the likes of Lucas and Jackson, who solved the problem by splitting their opuses into trilogies. Some of Jodorowsky’s dirty dozen went on to create the classics Alien and Blade Runner. 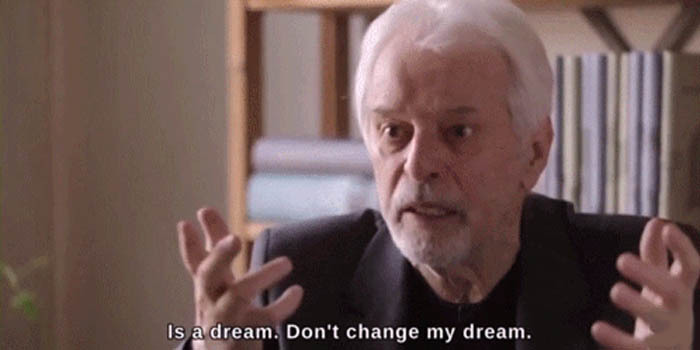 Perhaps if Jodorowsky had succeeded in founding the messianic religion he envisioned around Dune he could have leveraged the tax advantages. Either way, a tragedy.